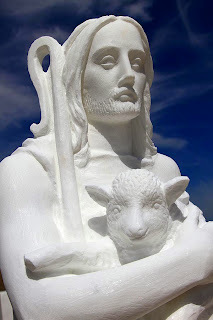 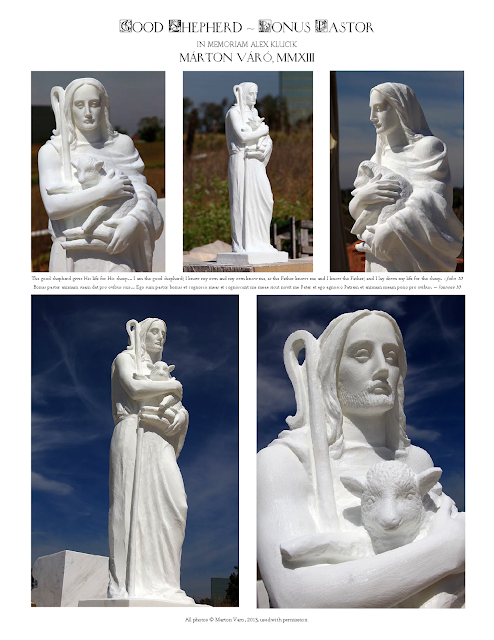 On July 30, two days before the third anniversary of Alex's passing, we were privileged and pleased to install the new sculpture of Christ the Good Shepherd in Alex's memory inside the Ave Maria Oratory. The sculpture, of pure white marble from Cave Michelangelo in Carrara, was created by Márton Váró, who also created the large Annunciation relief that graces the front of the Oratory. 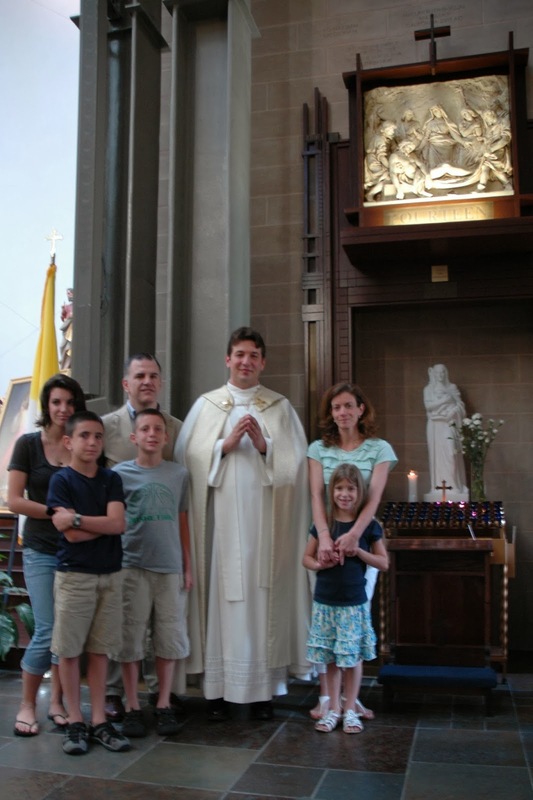 * Father Cory Mayer blessed the statue after the noon Mass. * The Alex Klucik Memorial Fund provides support to various projects such as AMU and Donahue Catholic; we feel it is important to point out that no money from the Fund was used to purchase the sculpture.